4th November 2009 at 525 Am Fajr Time I lost the most precious companion, whom I miss each time I get hungry, still my eyes stair to see her glance as the way she used to be mostly in the kitchen, I don’t know how I have this strength but living without her I surely know what Mother is for each one of us here in this world, Mother’s love completely unconditional, I remember those days when I was just a kid and talk alot she used to hear my illogical talks, watch me while i used to play alone and smile back at me, She Fed me with her own hands till i was 16 years, too grown but I don’t remember eating myself, I remember her polite, humble, caring and loving nature which inspired not just me but even those who knew her would agree, She was a Great Mother, Wife , Daughter and Sister, The best the I achieved in my life was her Trust in me and until now I have never dared to break her trust, the reality is we all have to die, return to the creator but life being an orphan its very painful, words cannot describe when ever I get sad tears don’t fall but I start helping others knowing, for sure God is watching and she surely be aware of now her “Faree” is doing in this world. My reason of existence My reason of the judgement day when I will be called with her name, Today I stand as what she believed in ! My Message to all : Respect your mother ! You really don’t know the worth of this relation, it was wish perform Hajj with her but I am unfortunate one, now this dream wouldn’t be able to see reality, when she was alive life for wasn’t a bit like the way it is after she’s gone, trust me It’s never enough no matter what you do for your mother, Love your mother don’t get this relation involved with any or life style, Be there and always express your love as Mother’s expect too like a child does there is nothing more precious than the one who prays for you when you don’t even know worries for you and think of you. My Message for my Mother : AMA I don’t drink tea anymore I quit it ! No one makes as yours, I don’t complaint look at me today I have totally became as you were, I know What life takes. ( Patience and Sacrifice ) I would appreciate if you all pray for my mother, I am sure you all will realize something out of this and May Allah Bless you all. I Dedicated this video to the youth of Pakistan, so they realize that what does it take, what we’re missing. It is a motivating lesson, based on reality. Hatred and ignorance has turned our Motherland like this but even today if we unite together, It is my firm belief that we can turn the things around and resolve all our issues. It seriously doesn’t matter; Democracy or the Dictatorship doesn’t count more than The Faith In Allah , Unity in being together Discipline to make Pakistan The worlds greatest Country ones again . But my knowledge is full of pain . God when rain of love will fall . By : Zeenat Jaha (Zeejah ) and Faree Imaan. I don’t where is now , alive or not but still she lives with in my heart. 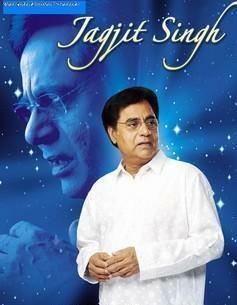 Monday , 11th of October 2011, King of Ghazal Jagjit Singh passed away at the age of 70, he was in hospital since last 2 weeks in Mumbai ( Bombay ) India, a very well known singer had tough career as well as full of fame. It wouldn’t be wrong to say that, he was unmatched to any other ghazal singer, He recorded around 80 albums, in various languages. My personal experience of listening to him was bit odd but I would like to share with you all, he visited Karachi , Pakistan twice, once I got a chance to be outside in the car parking, because VIP guests were called and it was only for limited people, when I he started singing ” aap ko dekh kar, dekh ta reh gaya ” his voice was echoing in entire town, the atmosphere around became so great that I sat on the roof top of my car, with couple of beers and started enjoying his Ghazals, he continued on and there was i, honestly falling in love with his voice. after few hours it all ended but still I can recall how it was back than. I enjoyed alot, but I wish i would have met him personally, very jolly,funny, friendly and kind person he was. It’s been years now but even before that I been listening to his ghazals, from 80’s along with his wife Chitra Singh, but I love to hear him solo rather than duo, he also did an album with Lata which was one of the best album, strongly my heart been attached to him. today when I heard this news I had tears in my eyes, since than I am quite, on my facebook status, I mentioned and sat to write few words for The Legend. It’s true, Jagjit Singh was truly King of Ghazal, his singing, his compositions and way of singing has trade mark signature, it is impossible to find in years to come such talented and heart touching voice which directly soothing our soul, all thou fans are not as family but on his passing, I don’t know how many like me must have cried and listening to his ghazals, for me I say Jagjit Singh was The Legend, there will not be any other like him ever again. I seriously don’t think so in coming years, Ghazals have bright future even in india or south Asia, what today God took from us, was the great loss, not only of inspiring nature person but one of the greatest singer of all time, in the history. I Pray that Allah Bless your soul and place you in heaven, I think today he is being called because God wanted to hear him. Miss you and my love & prayers always with you. Amen. I Miss you alot. You are always in my heart and in my prayers, until we meet again !